Pescetarians Unite!! 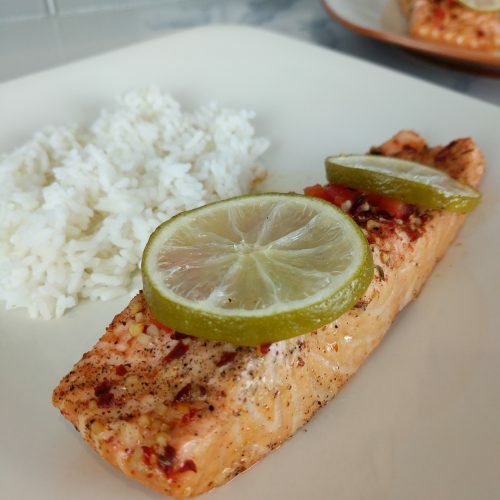 This Chili Lime glazed Salmon is sure to delight! (I’m a poet and I didn’t even know it!!) 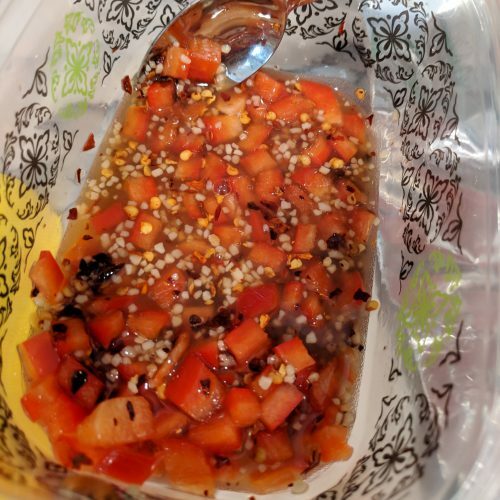 It is sweet and spicy (not too spicy) and full of flavor. The idea for this salmon came from my most recent trip to Rhode Island. My mother and I (Hi mom!) were in Dave’s Marketplace and I noticed this delicious looking salmon in the glass case of the deli section. I knew then that I had to test it out! Dave’s version had macadamia nuts on top which I was tempted to try out except for the fact that Macadamia nuts are expensive and have a ton of fat. Salmon already contains plenty of healthy fats, so I didn’t feel the need to overdo it! 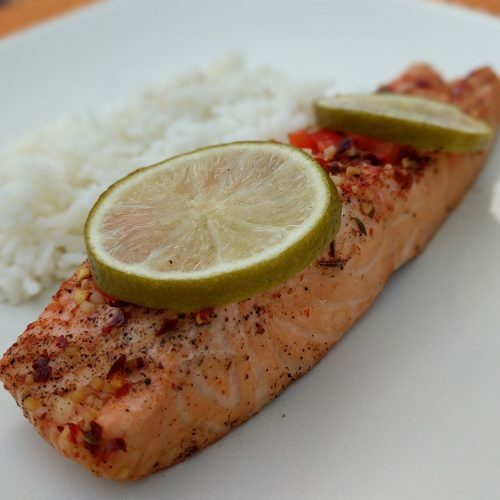 This delicious chili lime glazed salmon has 271 calories, 9g fat, 13g carbs and 33g protein! This is a winning dish! 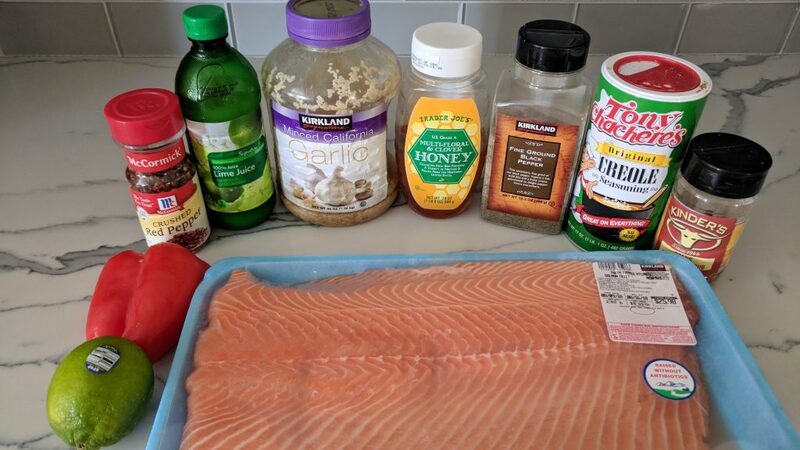 I based the serving on a 6oz serving of salmon, however you can customize to your diet/macro needs. It is relatively low fat, low calorie and high protein. What more could you ask for in a dish?? 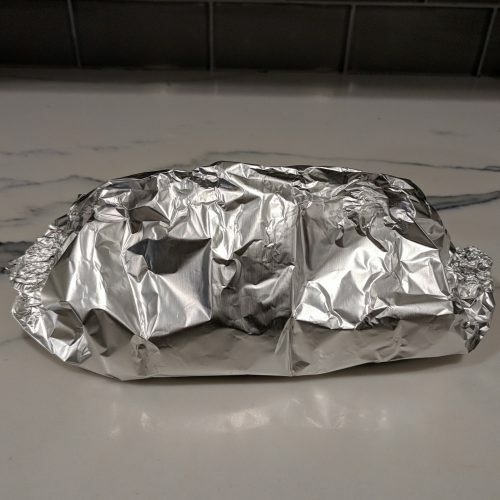 I cook all of my salmon (thus far) in a foil pack. 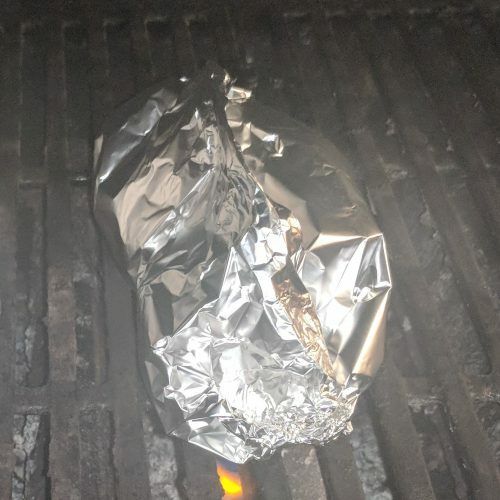 I basically lay the salmon on a piece of foil and then wrap it in a nice little cocoon and throw it on the grill. See the recipe below for photos and instructions on what I do. 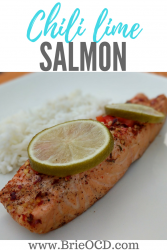 Click here for my other Salmon Recipe (Susan’s Grilled Salmon). I used lime slices for the top of the dish but when I made the glaze I actually used bottled lime juice. I have to admit, I don’t like to work for my food and squeezing the juice out of limes is time consuming and I don’t think the yield warrants the squeeze, LOL. However You can use fresh limes for the entire recipe if bottled juice isn’t your cup of tea. I buy my salmon at Costco and immediately divvy it up into personal sized portions. I leave out what I need for that day and then freeze the rest in individual sandwich bags. Next time I want salmon I just take out the number of frozen fillets that I need. They thaw super quick and taste just as good as the first time. make glaze by whisking lime juice, minced garlic, red pepper flakes, red bell pepper and honey in a small bowl. 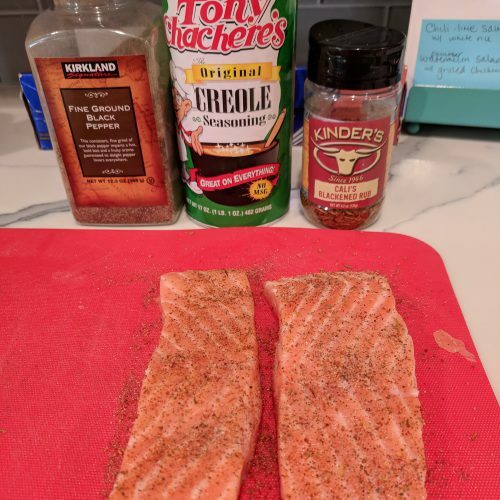 pat salmon fillets dry and lightly season each side with pepper, creole and blackening seasoning (approx 1/4 tsp each). sprinkle a little creole on the pieces of tin foil and lay salmon on top (helps prevent sticking). pour half of the glaze on each salmon filet and top with 2 lime slices. 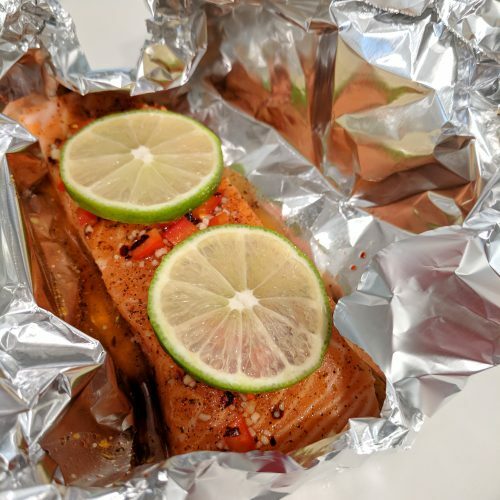 seal up the foil pack by closing the sides and making a tent so that the salmon doesn't touch the top of foil. carefully remove salmon from foil and serve with rice, cauliflower rice or your side of choice! yes Rita! super easy and delicious!